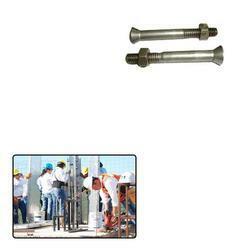 Prominent & Leading Manufacturer from Ludhiana, we offer cheera bottom bolts for construction industry. We offer a comprehensive range of Cheera Bottom Bolts for Construction Industry, which is used extensively in various industrial applications. These are available in different shapes & sizes and are reckoned for their various features such as corrosion resistance, dimensional accuracy and longer service life. Our range of product is highly demanded because of its superior quality and cost effective prices. Looking for Cheera Bottom Bolts for Construction Industry ?